From Wikipedia : In electronics, a transimpedance amplifier (TIA) is a current-to-voltage converter, most often implemented using an operational amplifier. The TIA can be used to amplify the current output of Geiger–Müller tubes, photomultiplier tubes, photo detectors and other types of sensors to a usable voltage. Current-to-voltage converters are used with sensors that have a current response that is more linear than the voltage response. 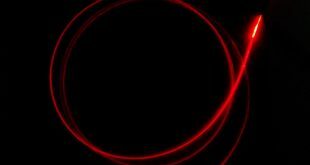 This is the case with photodiodes, where it is not uncommon for the current response to have better than 1% linearity over a wide range of light input. 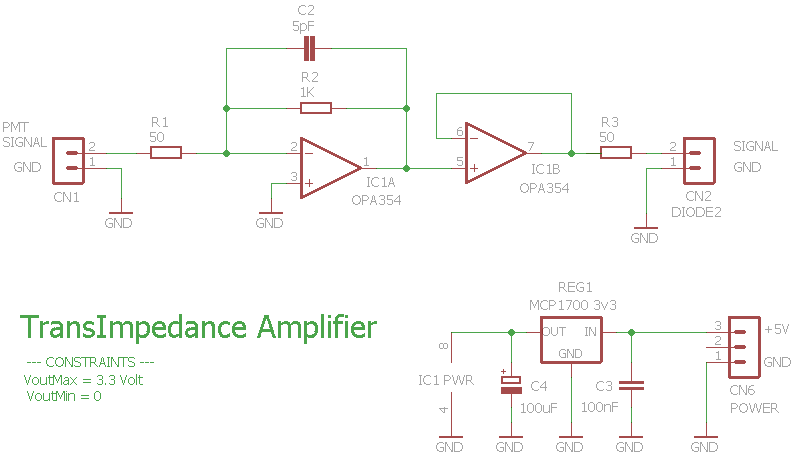 The transimpedance amplifier presents a low impedance to the detector and isolates it from the output voltage of the operational amplifier. 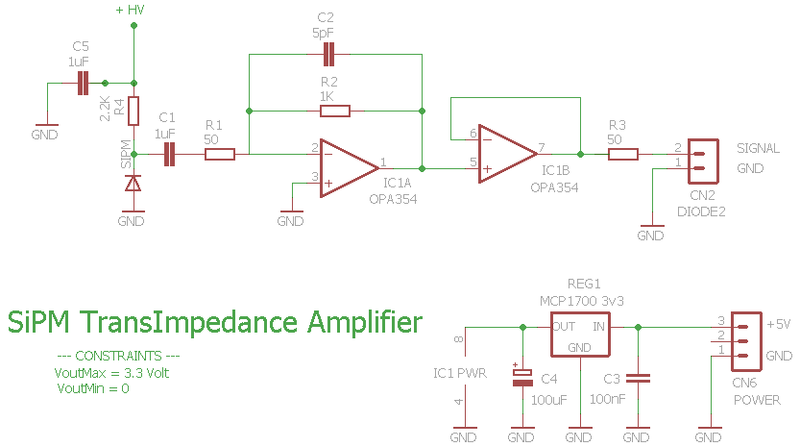 In its simplest form a transimpedance amplifier has just a large-valued feedback resistor, Rf. The gain of the amplifier is set by this resistor and has a value of −Rf (because the amplifier is in an inverting configuration). There are several different configurations of transimpedance amplifiers, each suited to a particular application. The one factor they all have in common is the requirement to convert the low-level current of a sensor to a voltage. The gain, bandwidth, as well as current and voltage offsets, change with different types of sensors, requiring different configurations of transimpedance amplifiers. 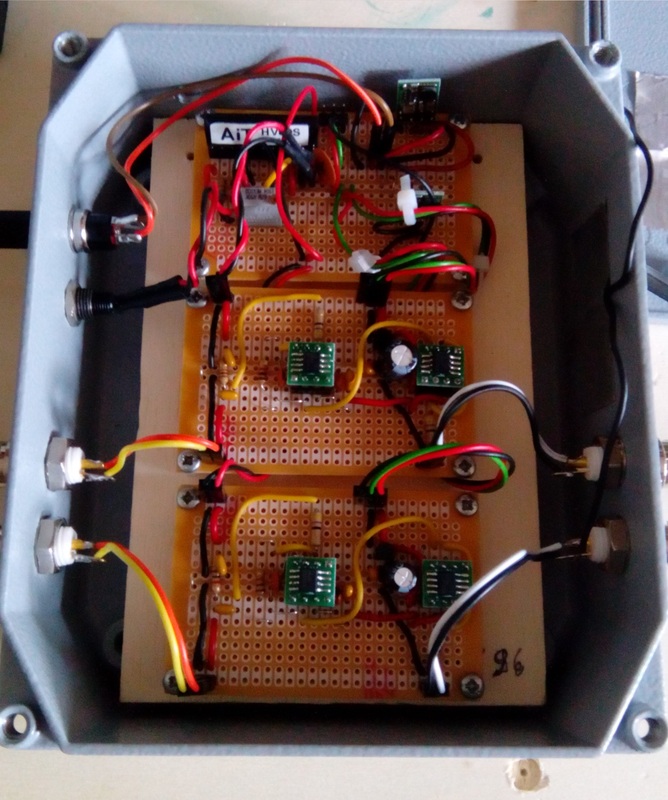 The main applications of our TIA are the amplification of low level signals from radiation and particles detectors, thus it is important to have a fast and low noise amplifier. the OPA354 chip is a good compromise between cost and performance. For the SMD mounting we used a SMD – DIP adapter. 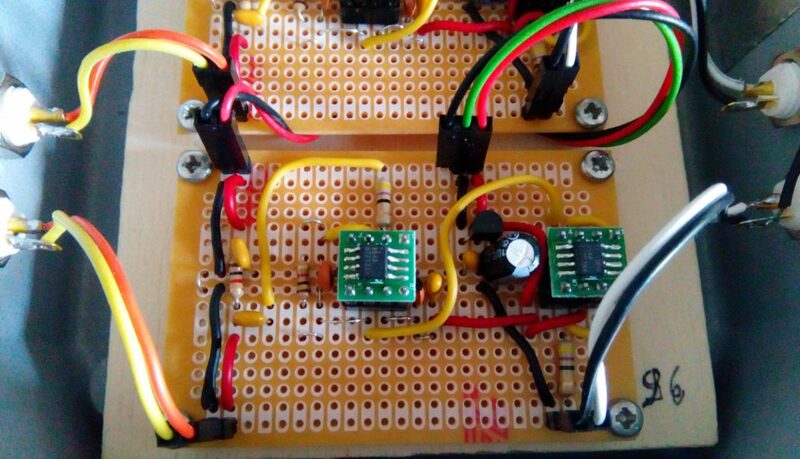 The op-amp has a feedback network with a feedback resistor and a low capacitance to improve stability. In output there is a buffer stage, with the same OPA354 component. The op-amp is single supply and we used a stabilized 3.3 V.
The picture below shows the circuit diagram. We used the TIA mainly to amplify the signal produced by SiPM based detectors (post Silicon Photomultiplier (SiPM)). The circuit diagram is shown below, it can be seen that the SiPM is inversely biased at a value of about 30 V through a polarization resistor while the signal is sent to the amplifier with a coupling capacitor. The image below shows the circuitry with the power section at the top and two TIA amplifiers for SiPM at the bottom. All inserted in a metal box to reduce electromagnetic disturbances. The image below shows the signal traces at oscilloscope produced by SiPM, without amplification, in blue, and the post-amplification signal, in yellow. You see how the signal is amplified by 5-10 times (the gain is adjustable by the feedback resistance) and the pulse duration is very short, about 200 ns.